The stunning new emotional drama from ebook phenomenon Dani Atkins, author of Fractured – perfect for fans of Jojo Moyes and Dorothy Koomson. Our Song is a story of two couples, who by fate and circumstances find themselves in the same hospital intensive care unit one night. Ally is married to Joe but one selfless act has led to him lying in a hospital bed. Charlotte is married to David – who also lies in a nearby room. David was Ally’s first love and she has always felt that Charlotte was instrumental in their split. Over a period of 24 hours, we go back to their past and get to know their history. This is the first book I have read by Dani Atkins, but I really do wish I had picked up one of her books sooner. This intense and moving story of love and loss had me hooked from the first page and shows how easily it is for the course of our lives to change. Ally has a happy marriage to Joe. They have a 7 year old son, Jake and life is good. However when Ally realises David is lying in a nearby hospital bed, all the memories of the past flood back. Charlotte used to be a friend (albeit not a close one), but when the two women meet again, all the insecurities and resentment that Charlotte felt for Ally return. Can the two women ever put their past behind them and support each other through such difficult times? 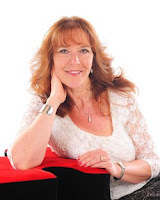 Dani Atkins writes beautifully and makes an excellent job of fleshing out the characters so that the reader really gets to know them. The story is cleverly structured and flows seamlessly between the past when David, Ally and Charlotte first met at university and the present. What I particularly liked was the way the story, very subtly, and without obvious repetition, often showed the same event from both perspectives of Ally and Charlotte. Having made my mind up about one person, once I saw their version of events, it did rather change my opinion. There is a wonderful cast of characters here and although they all have their own distinct personalities, all the main characters are engaging and realistic. Max, Ally’s best friend, was a sweetheart and his obvious affection and protectiveness towards Ally was lovely to see. This is an extremely moving and emotional read and if like me, you are a bit of a softie, you will most probably need tissues! 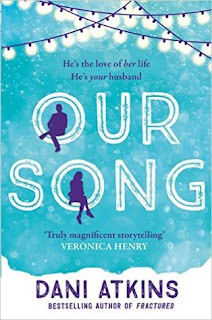 I don’t want to give too much of the story away and my review can’t possibly do this book justice – I loved it and although it’s still only January, this book could easily be a contender for my top books of the year. Emotionally, this book had the same effect on me as ‘Me Before You’ by Jojo Moyes – if you were a fan of that book, then I’m sure you will like this one. My thanks to Sara-Jade and the Books and the City team at Simon & Shuster for the paperback copy to reivew. The review copy itself was absolutely stunning – the book being contained in a lovely tactile purple slipcase – definitely one to treasure. Dani Atkins was born in London in 1958, and grew up in Cockfosters, a suburb of North London. She moved to rural Hertfordshire in 1985, where she has lived in a small village ever since with her husband, two (now grown-up) children, one Siamese kitten and a soppy Border Collie. Dani has been writing for fun all her life, but Fractured, (published as Then and Always in the US) and The Story of Us in 2014, now writes for work. 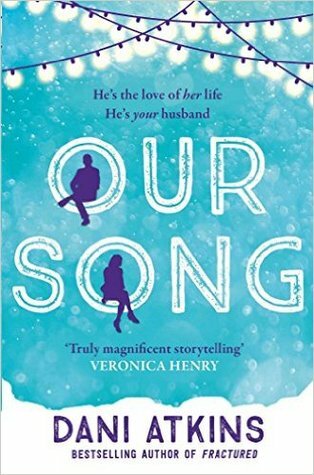 Her third novel, Our Song, will be published in January 2016.